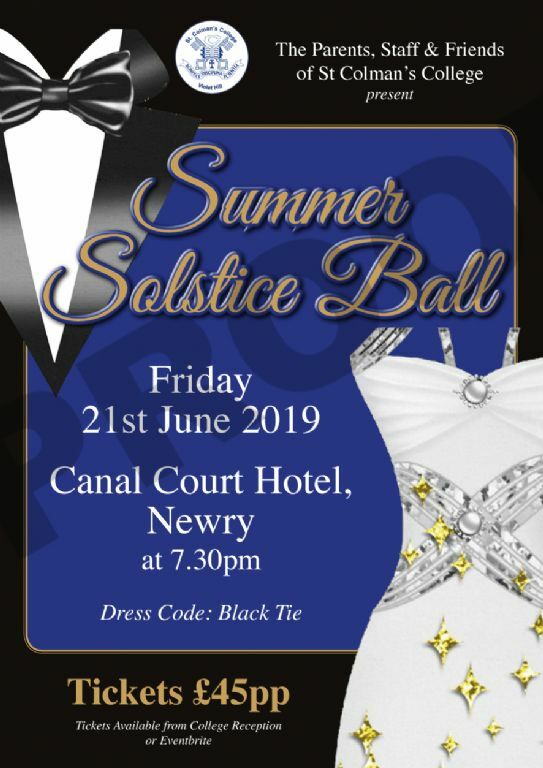 After numerous successes - both academic and extra-curricular - the Parents, Staff and Friends Association of St Colman’s College are hosting a Summer Solstice Gala Ball on the 21st June to help us recognise and celebrate all that is great about the College. We hope very much that you will join us in what promises to be a fantastic night! Amazing food, dancing to ‘The Housema8s’ and socialising with partners and friends. Tickets are available to purchase from the office so get your ball gown or Tux dusted off!